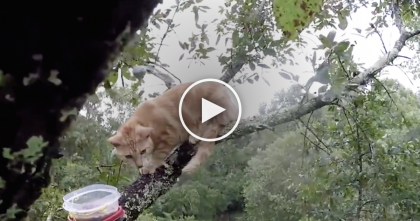 These kittens just can’t contain their urge to chase each other, but it doesn’t work out so great when they get on this wheel and start running, but you’ll laugh when you see how it turns out! These Bengal baby’s are burning off some of their crazies in the funniest way ever! 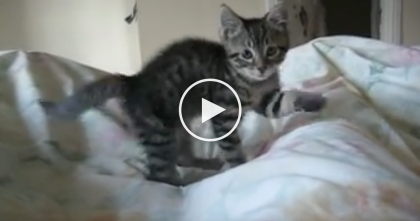 Kitten Goes To Sleep, But What happens Next?? Just Watch It… This TOO Cute For Words!! 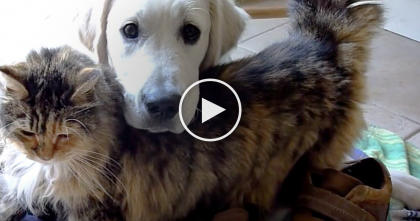 Fluffy Kitty Falls In Love With Adorable Puppy… Just Watch Them Together Now, Simply ADORABLE. 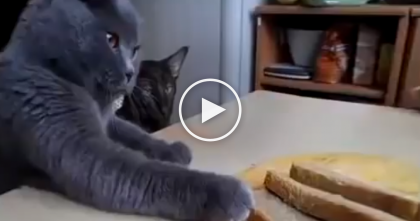 He Made Some Toast, But It’s No Match For This Team Of Kitty Thieves… Just WATCH. She Got Woken Up At 6AM By Her Little Kitten, Minutes Later? Rambunctious Case Of Crazies!